Leading provider, since 1994, of IT certification training in Asia-Pacific. ITIL®, PRINCE2®, COBIT®, AgilePM®, Scrum, TOGAF®, SABSA®, CISSP®, CISM®, Cyber Security Foundation, Cloud Security, Business Analysis, BRMP® and many, many more. ALC Training is the number one provider for certification training in best-practice methods and frameworks. We have been providing ITIL® and PRINCE2® training since 1999 and COBIT® training since 2006. We also offer certificate courses in AgilePM®, Scrum, SABSA®, TOGAF®, CRISC® , ISO 27001, Business Analysis and BRMP, plus our new Information Security Career Path. ALC offers the best available value – with top quality courses and outstanding trainers, all at competitive prices. More than 48,000 people (as at end 2016) from government and business have trained with us in Australia, New Zealand, Singapore, Malaysia and Hong Kong. 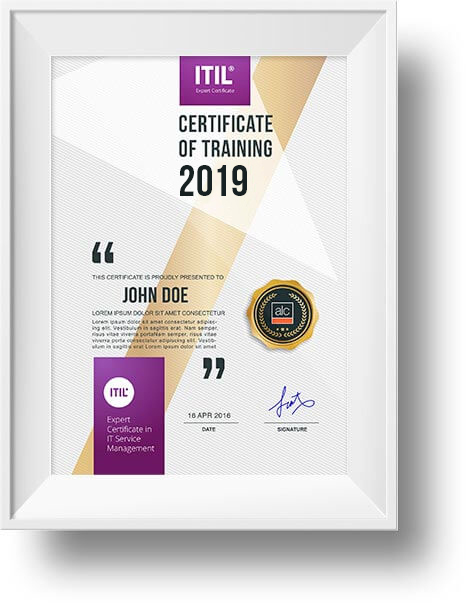 So why not take a look around our website and see how you can advance your organisation and your career with certification training from ALC.